Bahrain vs Tunisia: Eldar Eldarov, Mounir Lazzez rematch after first encounter in Jordan? Representing the Philippines, Carlo Pasion has been crowned the first ever titleholder of Mister Model Worldwide 2018. He bested 19 other contestants from all over the world. Hailing from Laoag City, Ilocos Norte, Philippines, Pasion is a fitness trainer with a bachelor’s degree in Information Technology. He only had two weeks to prepare and train for Mister Model Worldwide 2018. The Mister Model Worldwide 2018 commenced on December 16, 2018. The grand finale took place at the City Park Resort in New Delhi, Delhi, India on December 22, 2018. Pasion was fully supported by the Mister Laoag Organization headed by Handy Lao and the local government of Laoag City. Amor Albano and Nat Manilag provided Parion’s wardrobes for Mister Model Worldwide 2018, according to Online Pageant Magazine and Blog. On September 30, 2017, Pasion was crowned Misters of Filipinas 2017- Ocean at the One Esplanade in Pasay City, Metro Manila, Philippines. He also bagged the Mr. Anytime Fitness, Missossology Choice Award and Mister Talent awards. In Mister Model Worldwide 2018, Pasion also won the Best Fashion Model award aside from the title. He made it to the Top 5 of the talent competition, as well. Runner-up to Mister Model Worldwide 2018 was Mister Thailand Yutthakon Buddeesee. Mister India Suraj Dahiya, Mister Bolivia Hugo Leigue and Mister Nigeria Ogburie Pascal were second, third and fourth runners-up, respectively. There were four continental winners, as well. Leigue was Mister Americas while Mister Azerbaijan Emil Gasimov, Mister Ethiopia Natnael Georgo and Mister Tibet Tsering Chomphel were Mister Europe, Mister Africa and Mister Asia and Oceania, respectively. 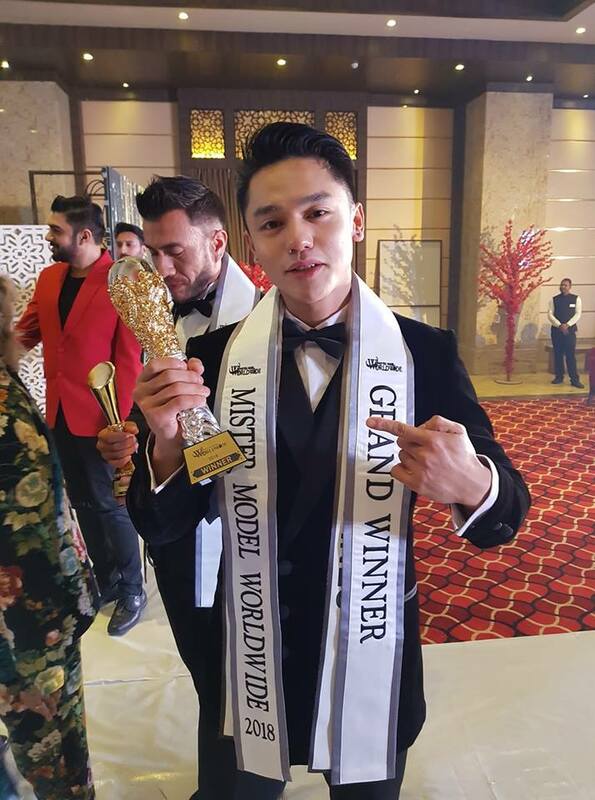 Mister Model Worldwide was organized by Rubura Group, a pageant organization and non-government organization headquartered in Haryana, India, according to New Frenzy. It is the first and only international modelling contest for men in South Asia.